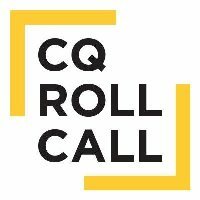 Gopal Ratnam and Doug Sword are joining the CQ.com reporting staff. Ratnam is joining from the Council of Foreign Relations where he was a contributing writer. He will cover homeland security and pen a defense industry newsletter. Sword comes to CQ from the Sarasota Herald-Tribune. He joins the news service as a staff writer covering financial services. Find more updates on legislative branch news by following CQ’s social media presence on Twitter and Facebook.